Click Here To View The Official Press Release! 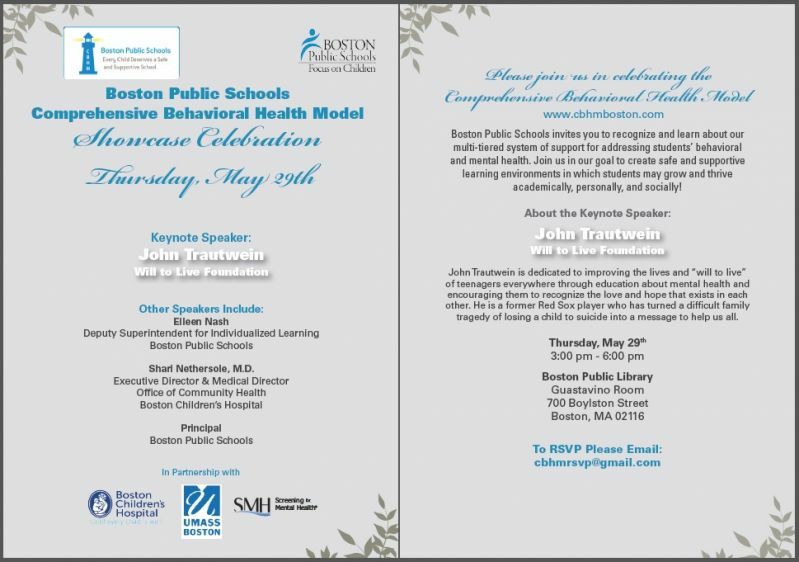 The Will to Live Foundation is honored that John Trautwein will be the keynote speaker at Boston Public Schools celebration event recognizing their Comprehensive Behavioral Health Model (CBHM). This model is a muli-tiered system of support for addressing students’ behavioral and mental health. The Will to Live Foundation is proud to be an official partner and sponsor of the SOS Signs of Suicide Program (created and implemented by Screening For Mental Health) which is being rolled out as a tier one, universal intervention in Boston middle and high schools.